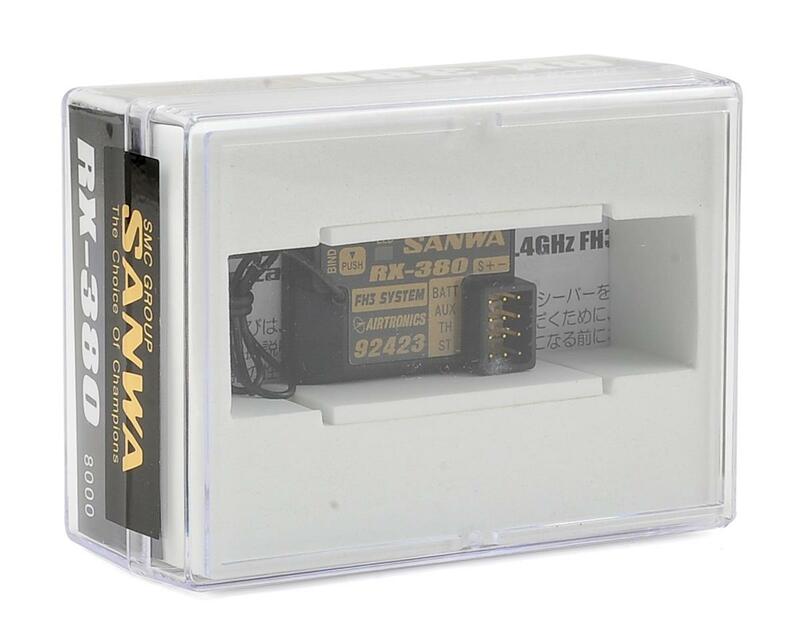 The Sanwa RX-380 3-Channel Receiver is the most affordable FH3 receiver from Sanwa! 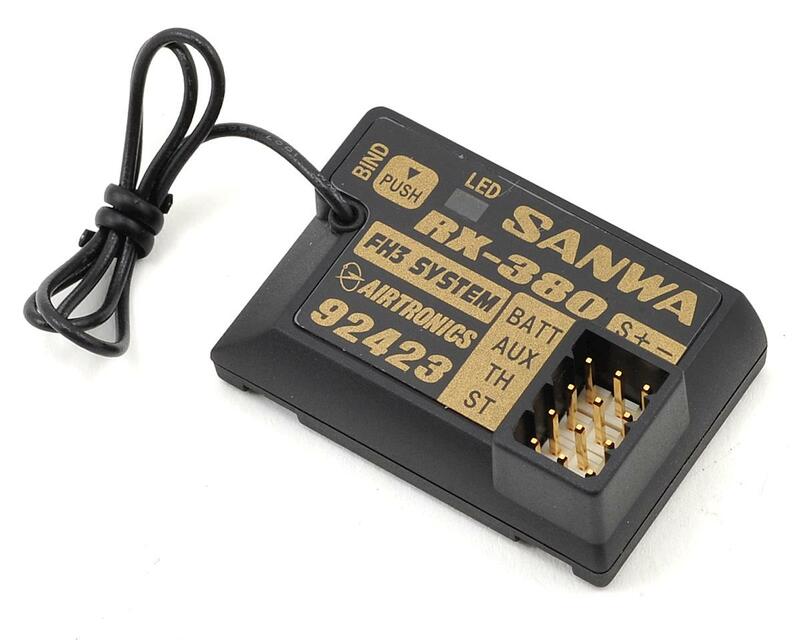 Compatible with the MT-S, MT-4, MT-4S, M12, and M12S transmitters - this receiver is small, lightweight, affordable and high-voltage compatible! This is a non-telemetry receiver that is not equipped with BEC Circuitry and requires a voltage regulator or ESC with BEC to lower the voltage to the receiver. WARNING! The receiver is NOT equipped with BEC circuitry. DO NOT use a receiver battery greater than 7.4 volts to power the receiver. Use only a 4.8 to 7.4 volt receiver battery, an ESC with a BEC circuit that lowers the voltage to the receiver, or a voltage regulator that lowers the voltage to the receiver.